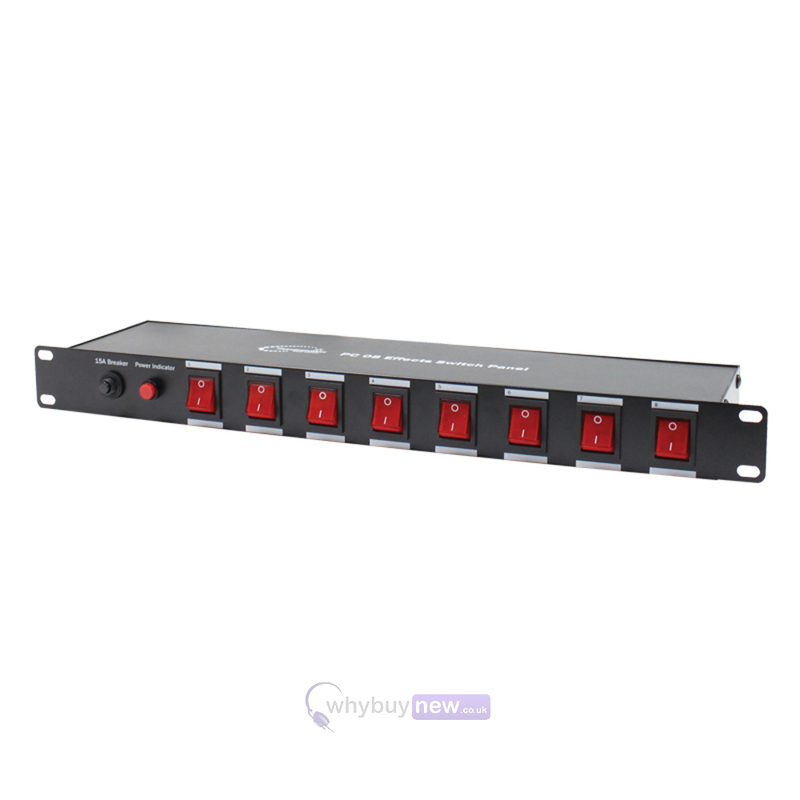 The Transcension PC 08 Effects Switch Panel is a fantastic power control unit for lighting effects that is ideal for mobile DJ's and clubs, bars and music venues. It features 8 illuminated switches so you can easily tell what lighting effects are powered on and what are powered off. It has a rack mount design so it can easily fit in a fixed rack case but at the same time can be used by itself. 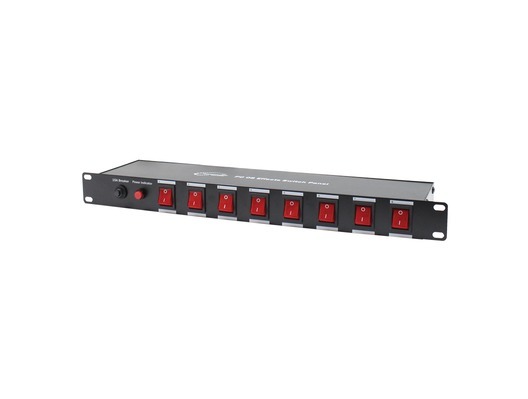 A rack mount unit allowing easy on/off control of up to 8 channels of lighting effects. 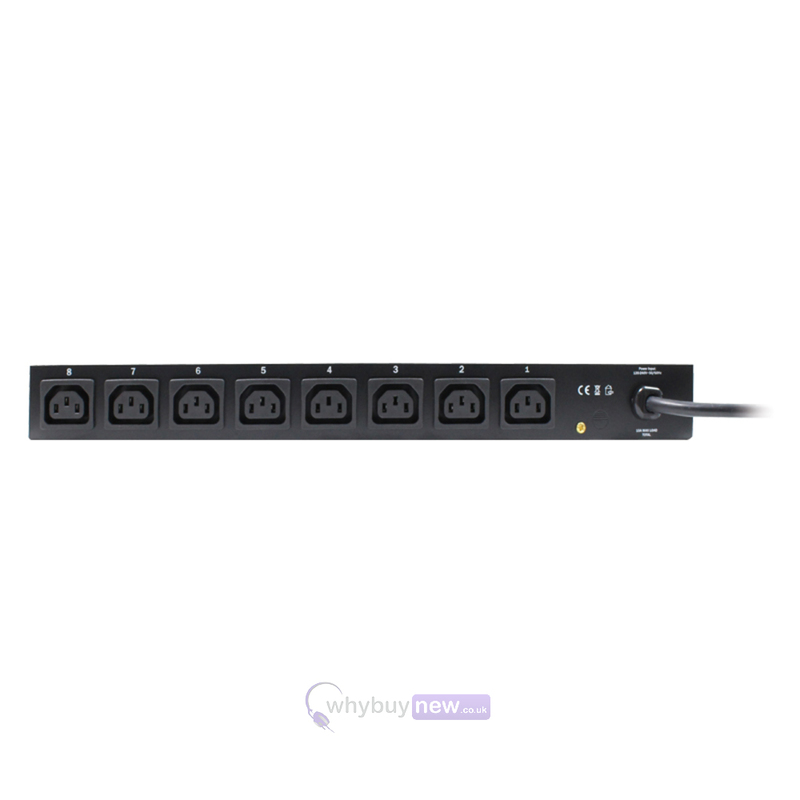 The illuminated rocker switches make this unit ideal for both portable and fixed installation applications. Total load: 240V- 3600W Max.120V- 1800W Max.